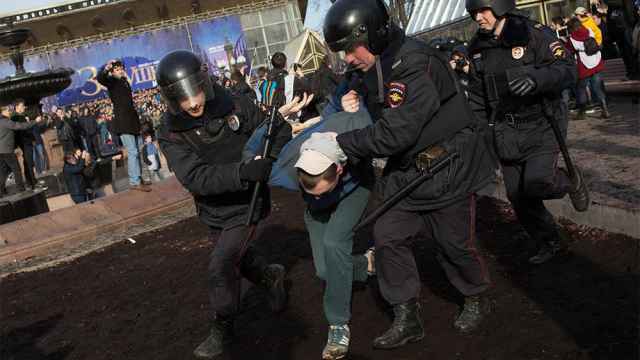 Hundreds of Russians have been arrested after a wave of anti-corruption protests swept the country on Sunday. The demonstrations were coordinated by opposition politician Alexei Navalny after he accused Russian Prime Minister Dmitry Medvedev of channelling bribes through non-profit organizations and building a collection of yachts and lavish mansions. In many cities, including the Russian capital, demonstrators gathered despite being refused a protest permit by city authorities. 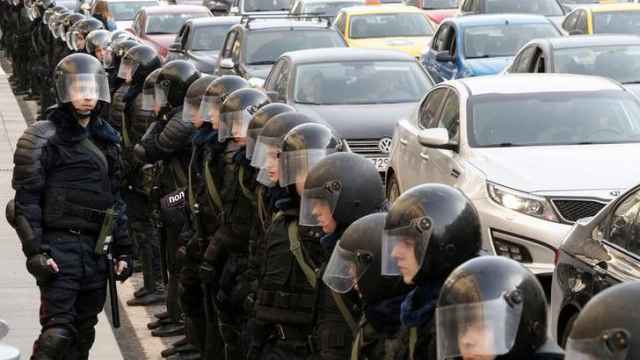 Police confirmed that at least 8,000 people had gathered on Tverskaya Ulitsa in Moscow's city center for the unauthorized demonstration. More than 700 participants were detained in the capital alone, according to civil rights watchdog OVD-INFO. Navalny himself was also taken away by police in Moscow soon after the rally started, but urged his supporters to continue the protest via Twitter. Staff at Navalny’s anti-corruption NGO, the Anti-Corruption Fund (ACF) were also detained at their offices during the day. Crowds of protesters chanting “shame” attempted to block the van carrying Navalny as it drove away. The tweet reads: "Alexei Navalny: Path to the Paddywagon." Larger crowds gathered on St. Petersburg’s Dvortsovaya Ploshchad, with independent radio station Ekho Moskvy estimating that 10,000 people had joined the march. 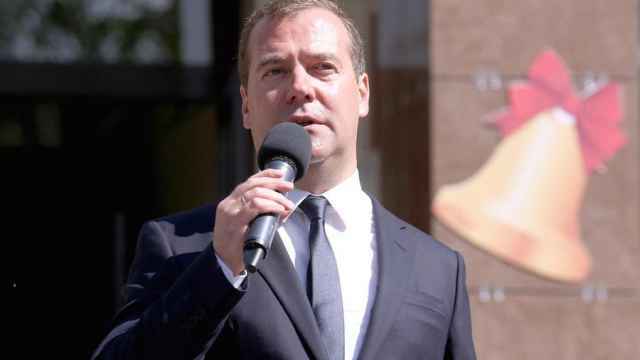 Protesters’ posters included calls for Medvedev to reveal his alleged “fortune” gained from corrupt deals, and for President Putin to face jail time. Demonstrator Kseniya Shafronenko told The Moscow Times that the St. Petersburg march had been allowed to pass the length of Nevsky Prospekt, the city’s main thoroughfare, without incident. “It all took place very peacefully. There were very few police officers there – just a couple of buses – and if people were detained, then I didn’t see anything. It was quite strange," she said. The tweet reads: "Dvortsovaya Ploshchad, Petersburg, home of the  Russian Revolution." The tweet reads: "Petersburg today. People have arrived and they're ready to make tough political demands of the authorities." Marches also took place in dozens of smaller Russian cities, unleashing a wave of protests across the country on a scale unseen since 2013. 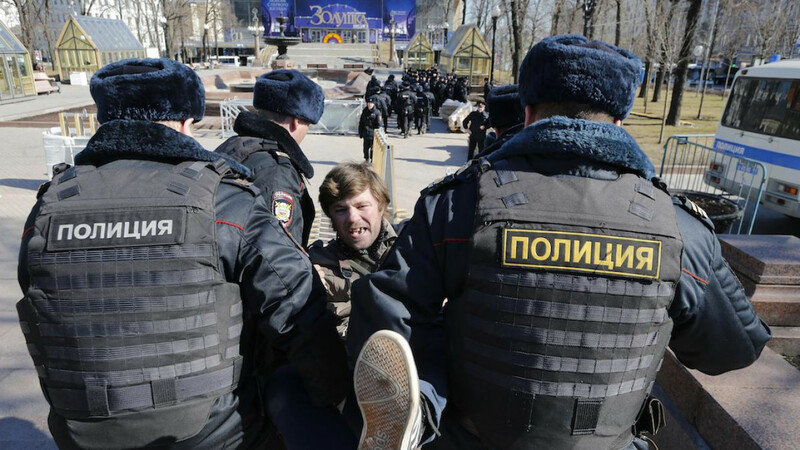 In Russia’s Far Eastern city of Khabarovsk, protest organizers were detained by the police before the march started. In nearby Vladivostok, some 1000 people took to the streets, 50 of whom were detained, regional media outlet vladtime.ru reported. Hundreds of participants rallied in the Siberian cities of Tomsk, Krasnoyarsk, Barnaul, Kemerovo, Chelyabinsk and Irkutsk, the Kommersant newspaper reported. Some 3,000 people also protested in Yekaterinburg, the capital of Russia’s Ural region. Ten people were detained at the rally. 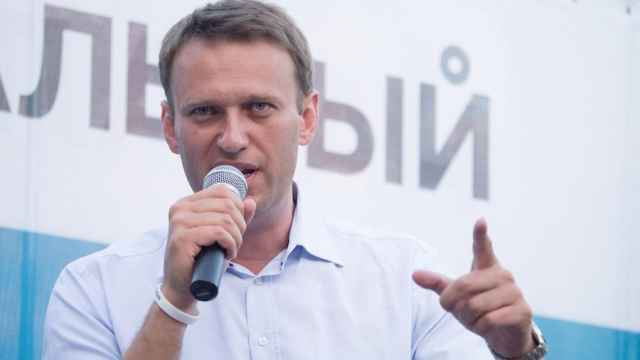 Navalny personally addressed demonstrators in Siberia’s Novosibirsk, Russia’s third city, via telephone. More than 2,000 people met for the rally, a regional record, the tayga.info news site reported. Photos from the protests in Novosibirsk. “I see a lot of people here who are between 20 to 30 years old,,” protest co-organizer Andrei Gladchenko told the crowd. “They understand what’s going on and they’ve decided not to tolerate the state our country has been in for the last 17 years,” he said, according to Tayga.info. The protests have drawn attention not only for their size, but for taking to the streets after a call to action from an opposition politician. Previous protests have usually been a response to specific government policies or actions, such as vote rigging in 2011, or truckers protesting rising tariffs in 2015. “The most important thing is that today’s rallies showed that Navalny can come up with his own agenda,” political analyst Kirill Martynov tweeted. The demonstrations have also shone a light on Navalny’s support base for the upcoming presidential elections.